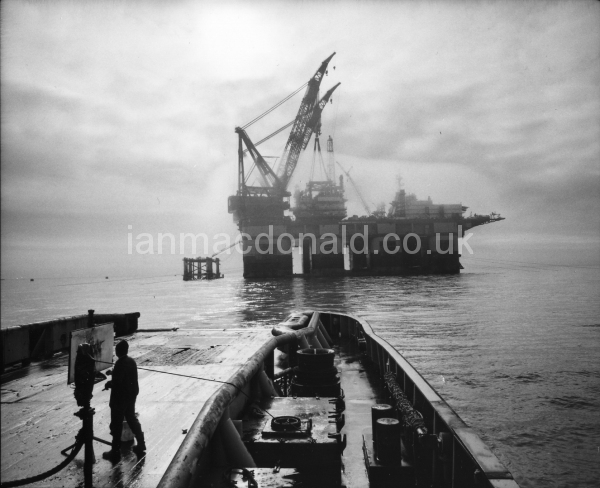 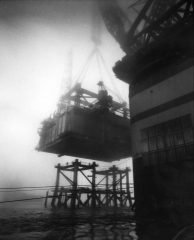 The Offshore commission, which included photographing in the shipyards of the Tyne, where offshore modules and accommodation platforms were being constructed, on the heavy lifting barge DB102 in the North Sea, on a deep sea Belgium tug and on a drilling platform in the south of the North Sea, arose directly from the Smith’s Dock work previously commissioned by British Shipbuilders and Northern Arts. Images created were used in publicity material for the commissioning body. 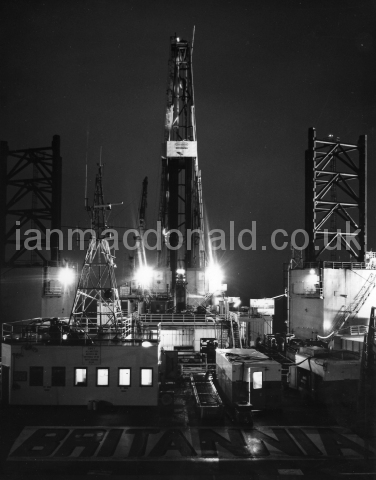 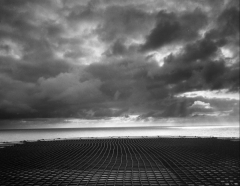 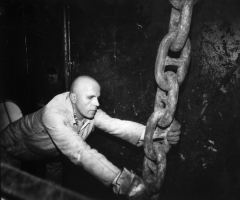 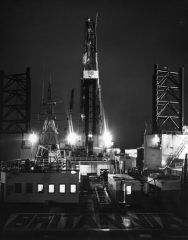 A selection of work formed part of an exhibition about life and work offshore first shown at Mablethorpe in Lincolnshire where Margaret Thatcher, the then Prime Minister, switched on the gas flow from a recently developed Southern North Sea gas field. 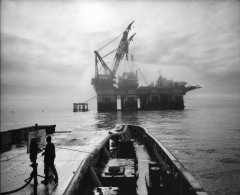 Following this, the exhibition was shown at the National Museum of Photograph at Bradford alongside ‘Images of the Tees’.